Moreover, our range is widely used in hospitals, clinics, nursing homes and CATH labs. Quality has always been our priority and we take pride in our quality centric approach. We make these ECG papers using best quality materials as per the industry standards. The processes of raw materials procurement and production are strictly monitored and the Hospital Products are made to pass various quality control tests that are executed by the quality experts. This ensures that the Hospital Products are in the compliance with the international quality standards. Fine texture, wear and tear resistance and water proof are the key features owing to which this product is highly praised by the clients. Additionally, these products are available in the market at reasonable prices. Our company has the capability of manufacturing the products as per the requirement of the client. 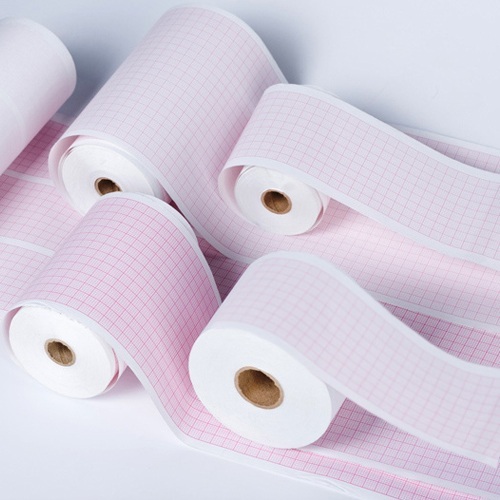 These ECG Paper Rolls are offered to the customers at affordable prices.